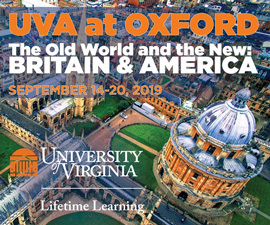 The Virginia Magazine website and all content on uvamagazine.org are a product of the University of Virginia Alumni Association. However, the opinions expressed within the comments reflect solely the opinion of the participants. As members of the extended University community, users are expected to adhere to the University’s Information Technology and Communication Policies, the guidelines set forth in the University’s Ethics in Computer Usage policy, and to conduct themselves within the spirit of the Honor System. We reserve the right to discontinue any or all online services at any time or to revise the terms and policies of this agreement. Personal attacks or insults, hate speech, or harassment. Posts with the intention of eliciting negative responses, or posts with the clear intention of annoying or offending other users. Material that slanders, abuses or threatens others. Material that contains vulgar, obscene or indecent language or images. This includes the use of substitute symbols (for instance, "a$$" and "*ss" are considered obscene). Communications that violate or incite others to violate the law or communications that discuss illegal activities with the intent to commit them. Communications that could be confused with official communications of the University or Alumni Association. Posts which are deemed inappropriate by Virginia Magazine staff. Any user posting on uvamagazine.org is implicitly agreeing to these rules, regardless of whether they have been read or not. 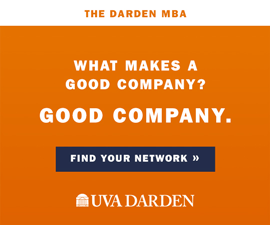 The UVA Alumni Association is not responsible for screening communications or postings, and cannot actively monitor comments at all times. However, the Association reserves the right to reorganize or delete any postings or communications at its discretion. The Association expects community members to exhibit the same level of respect for others in this forum as in any other University-related venue. Please report any abuses or misuse by sending an email message to uvamag-web@virginia.edu. The University of Virginia Alumni Association has taken all reasonable precautions to secure your personal information. Your email address and other personal information is protected by the University, and it will never be sold or used in a manner not explicitly allowed by you. If your email address is requested in any of our online forms, it is simply to enable us to communicate with you if a response is requested, and to prevent abuse of our site. UVAMagazine.org allows the of use third party cookies, web beacons, and similar technologies to collect or receive information from UVAMagazine.org and elsewhere on the internet and to use that information to provide measurement services and target ads to our readers. Users can opt out of third party tracking at http://www.aboutads.info/choices/.